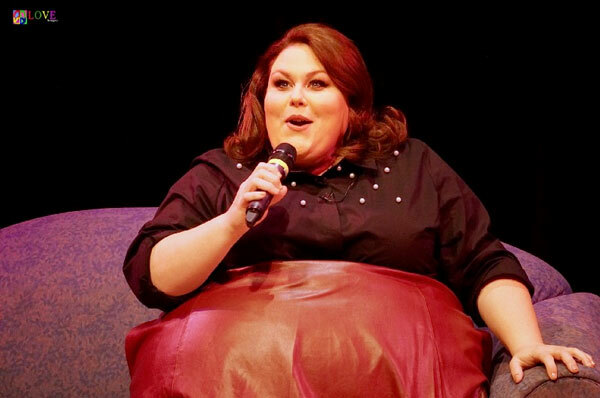 It’s a sold-out crowd on the campus of Toms River’s NJ’s Ocean County College where ladies — and a sprinkling of men — wait in the lobby of the college’s Grunin Center for the Arts for the arrival of the Golden Globe and Emmy-nominated actress, Chrissy Metz. 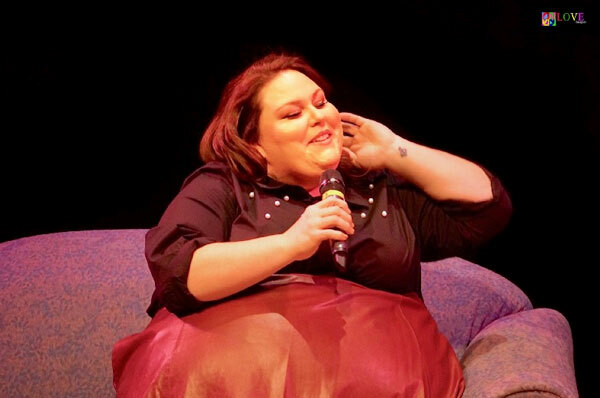 This evening’s presentation, the Chrissy Metz This is Me Tour — a part of the college’s Blauvelt Lecture Series — features Metz, famous for her portrayal of Kate Pearson on the critically acclaimed series This Is Us. She is here to discuss her new book, This Is Me. Metz, 37, was born in Florida, but she spent several of her early years in Japan where her father, Mark, was stationed with the US Navy. Upon returning to Gainsville, Chrissy attended elementary, middle, and high school. Starting out in a career as a pre-school teacher, Metz was encouraged to try her hand at acting. After several years in Hollywood — in which she played roles in films like Loveless in Los Angeles and on television in FX’s American Horror Story: Freak Show — Metz was hired for the NBC hit drama, This is Us. 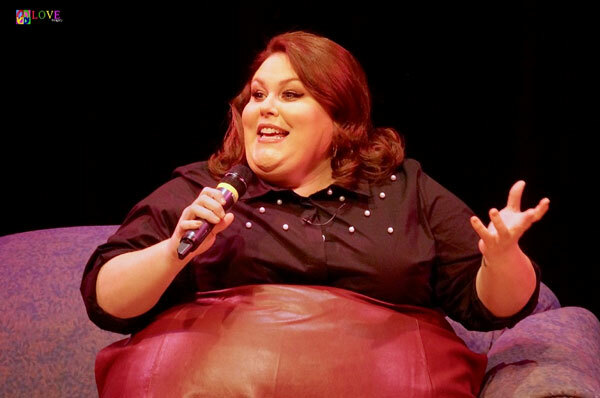 For her role as Kate Pearson in This is Us, Metz was not only nominated for Emmy and Golden Globe awards, but she and her cast mates also won a Screen Actor’s Guild award for Outstanding Performance by an Ensemble in a Drama Series. On This is Us, Metz also occasionally gets to utilize her singing talents. In real life, she’s a singer in her own band, Chrissy and The Vapors. In her new book, This is Me: Loving the Person You Are Today, Metz shares how she’s applied lessons learned from the various successes and setbacks she’s experienced in her life. During tonight’s chat, Metz is set to discuss her career as an actress and, also, to share various stories from her book. A hush falls over the auditorium as the theater lights dim and the overhead screen displays the cover of Ms. Metz’ book. Janice Kaplan, the moderator of this evening’s presentation, takes the stage. An author herself, Kaplan has written books including The Gratitude Diariesand How Luck Happens. She is also a former editor who worked at publications including Parade and TV Guide. 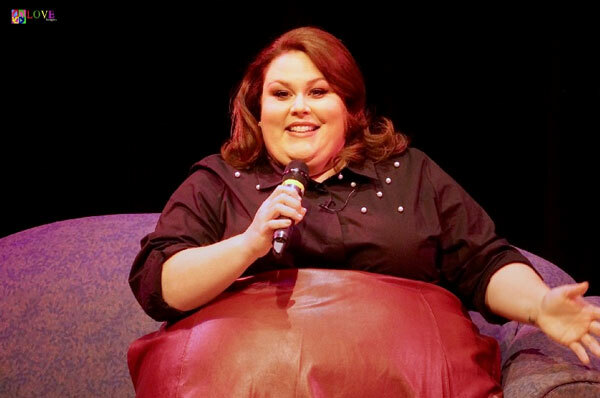 When Ms. Kaplan introduces Chrissy Metz, the audience stands and cheers! 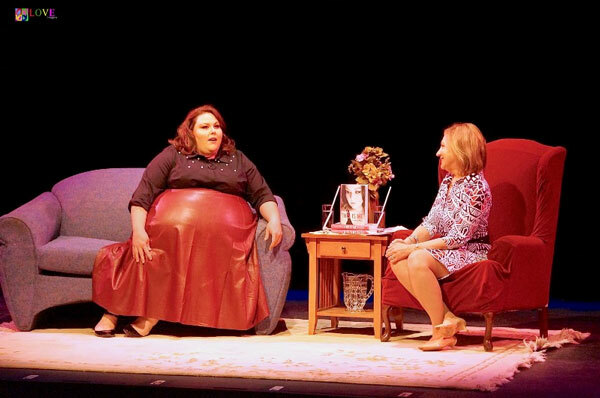 Taking a seat on the couch, Chrissy responds to questions from Kaplan — all the while sharing her warm southern personality and making this New Jersey audience feel right at home. After getting a call back for a second audition — where she would compete with others while reading for the part with other potential cast members — Metz describes the moment when she was finally given the role. 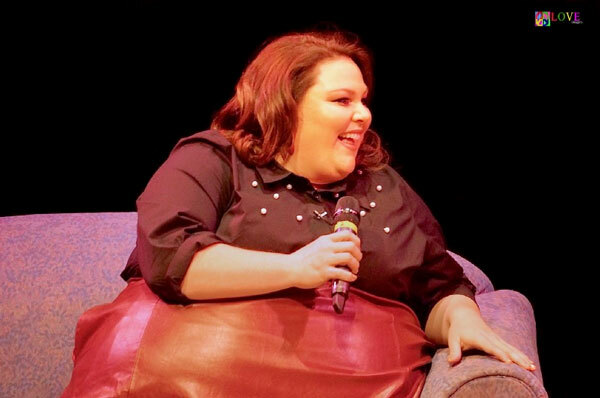 Relating how the show’s creator called her to say, “You’re our girl!” generates enthusiastic applause from the audience. Kaplan takes a moment to praise Metz for her appearance today and the audience stands and cheers as Chrissy thanks them for coming and accepts flowers from an excited fan. As the crowd exits the theater, we chat with several audience members who give us their impressions regarding tonight’s chat. 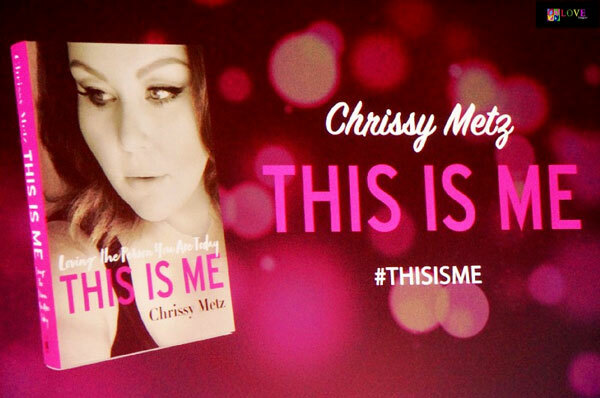 For more on Chrissy Metz and her book, This is Me, please go to facebook.com/ChrissyMetzOfficial. For information on future performances at the Grunin Center of the Arts — including Tom Chapin and the Chapin Sisters on April 21, and Peter, Paul and Mary’s Peter Yarrow on May 11 — please go to grunincenter.org.